The greatest headache of the devil is the growth and expansion of the Church. There is a deliberate plan by the gates of hell against the Church. We must live a spiritual battle ready life. When Israel was growing in number in the land of Egypt, all hell broke loose including killing of children. That did not stop God. For anybody to imagine that people gathered like this in those days was unthinkable. Those days if ‘500’ people came to Church. We would say ‘the whole world came’. 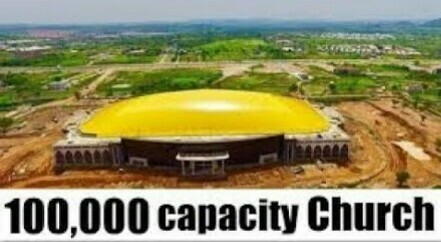 Now if 1000 attend, some will say ‘this Church is not growing’. However if you don’t celebrate God for one, you won’t see 2. If you don’t celebrate God for 10, you never see 100. The Church is the light of the world and the greatest threat to the existence of darkness is light. The greatest enemy of Church Growth is the devil himself. I release the supernatural Church Growth Grace on every Ministry and Denomination. Whatever cannot stop the Church from praying cannot stop the Church from growing. God hates waste! If he won’t fill this building, he won’t have built it. God will fill it with your cooperation and participation. The day you stop engaging the forces of Church Growth, God will stop. Be careful with this pulpit. Jealously guard the mandate of God upon your life. It does not take time to scatter. It only takes time to build. 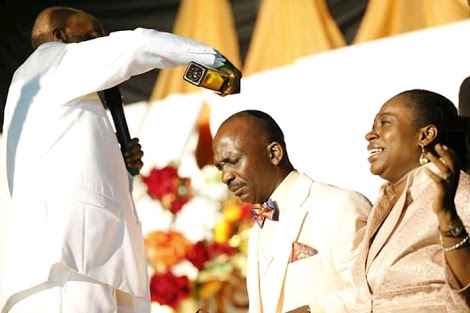 Your Father (David Oyedepo) is on the go and he is still on the Go. I know what God sent me and I am answerable to Him. Canaanland is filled 1st, 2nd, 3rd, 4th and 5th times on Sundays. Tents outside carry more (52,000) than inside the Tabernacle (50,000). 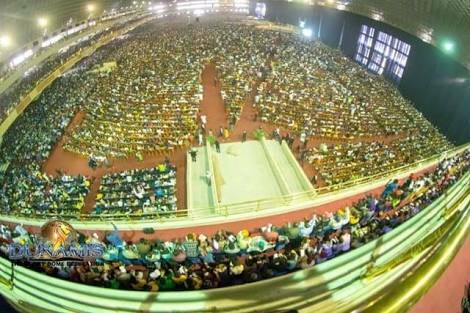 The Church of Christ in Nigeria is by Divine Privilege leading the Global Awakening Today.